Are You Cashing In On Free Trials In Your Online Marketing? Everyone loves getting something for free. Free is one of the most popular, attention-grabbing words in the English language. The word free can be your friend. Here's one of the single most powerful, persuasive ways you as an online marketer can leverage the power of “free”: you can offer free trials of your product or service. Like we've discussed often in our blog, you are asking a lot from someone when you try to get him to take his credit card out of his wallet and buy something from your e-commerce store. It's a challenge for you and often a fearful idea for him. A free trial offers him a low-pressure, low-barrier-of-entry way to experience your product, and it gives you a proven means to make more sales. So by all means, if it's appropriate for your product or service, consider offering your potential customers a free trial. You just might be very pleased with the results. For the sake of our discussion, we'll assume that your product is a cloud-based accounting software program. Let's talk about some steps you can take, including harnessing the power of landing pages, to increase the number of free trial users that convert into paying customers. After some online marketers sign up a new free trial subscriber, they forget about him and quit marketing to him until the free trial is over. This is a mistake. People are busy, and they are easily distracted. They could – and very often do – download a product for a free trial and then forget all about it and never use it. That's not a scenario likely to result in them becoming a paid customer at the end of the free trial period, don't you agree? So here's something you must do: market to them during the free trial period. Remind them that they downloaded your product. Talk about how they can benefit by using it, even before they actually buy. Email is ideal for this kind of marketing campaign. Require an email address as part of the signup and download of your product. Send free trial users emails with download links to your latest white paper or webinar. Give them educational ebooks. Notify them of new entries on your blog. And although you don't want to flood their inboxes with promotional messages, don't be afraid to use email to sell to them. People love free. Also, studies have shown that fear of loss is greater than desire for gain. Use these aspects of buyer psychology to make your marketing more persuasive, and give them an incentive, perhaps a free extra month of your product or service, to buy now instead of waiting until the trial period is over. 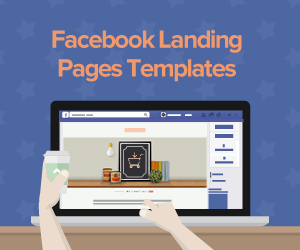 This is one of the many areas where landing pages can be a valuable online marketing tool. Have landing pages specially set up to covert free trial users into customers before the trial period is over. Use some of the same messaging you used in your promotional emails. Tell them how they stand to benefit if they become paying customers before the trial ends. And remind them what they will miss out on if they hesitate. You've given them educational content that helps them use your product and benefit greatly from it. You've engaged them and given a first-rate customer experience by encouraging them to give you feedback about the product and to contact if they have any questions or problems. You've gone a long way toward setting up an ideal buying environment; you've built momentum toward the sale, but you can still lose out without a strong landing page. 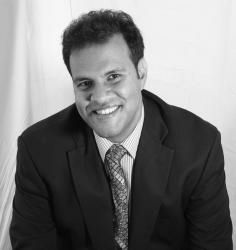 Don't miss out on this very important piece of the online marketing puzzle. So you've increased your conversion rate and made a substantial number of sales even before the trial period is over. Congratulations! But there are a lot of potential customers who have not said “YES”. It's human nature to procrastinate, and many people won't buy as long as the free trial is in effect. Now is your chance to market to them again and enjoy a very nice conversion rate. 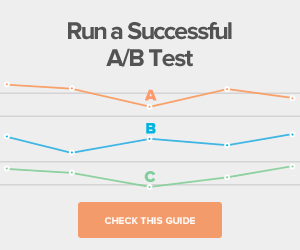 And of course, you need landing pages for this “post-free trial” conversion campaign. You already have an advantage over your competitors who don't do marketing between the free trial signup and the end-of-trial “moment of truth”. Your efforts to provide free trial users with useful, educational content, provide great service and so on mean you've built up a lot of momentum toward the sale. This can help you make more sales now. But to enjoy maximum conversion rates, you still have to have landing pages. And your landing pages need to rock! Use clean, uncluttered design with a relevant image(s). Post a compelling offer. Make it super-simple for your free trial user to transition to paying customer. You need compelling, persuasive copywriting. Like I recommended a moment ago for your landing pages whose purpose is to make sales before the end of the free trial, harness the power of buyer psychology here. Tell your potential customer what he stands to lose if he doesn't buy. Even if he says no to your offers during the free trial period and when it has ended, you can still market to him. He's still on your email list. Make him an extra-special offer here. Ask him to fill out a brief survey telling you why he didn't buy. Offer him a money-back guarantee if he's unhappy for any reason. What's the takeaway? Free trials, especially if you employ savvy marketing tactics like we discuss here, can help you enjoy a much higher conversion rate than simply demanding that a prospect make a buying decision the first time he encounters you. He's HIGHLY unlikely to buy in that situation. Can you blame him? A free trial period can enable him to get to know you, grow to like you and decide he trusts you, all in a very non-threatening manner. So please consider using free trials in your marketing, if appropriate. 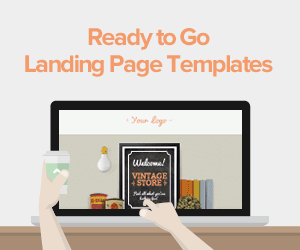 A Landing Page Platform You Will Love! But in order to have the strongest free trial-based online marketing campaign possible, understand this: you must have landing pages. 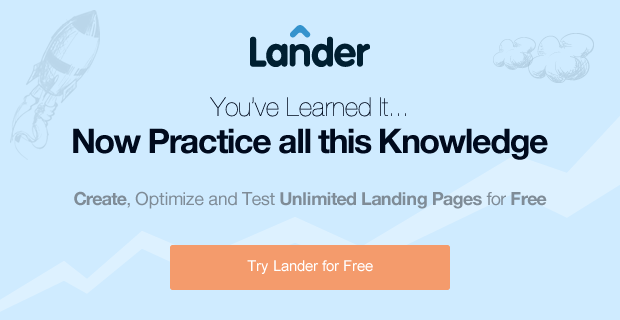 And no landing page platform does more to help you convert free trial users into paying customers than Lander. We have one for you! You can try any of our very reasonable rate plans free of charge for 30 days with no credit card required. So start your free trial of Lander today! 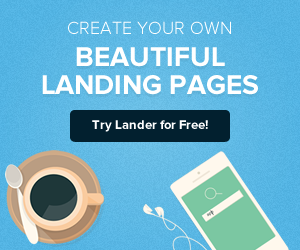 PS – If you are sick and tired of the hassle and frustration of trying to set up and maintain landing page software “the old-fashioned way”, you will love how Lander is a breeze to set up and a snap to maintain.No programming knowledge required.